FRE Skincare - made for me and you! If you’ve been following me for a minute, you’d know that I sweat. A lot. My skin has taken a beating this Summer with all the triathlon training. 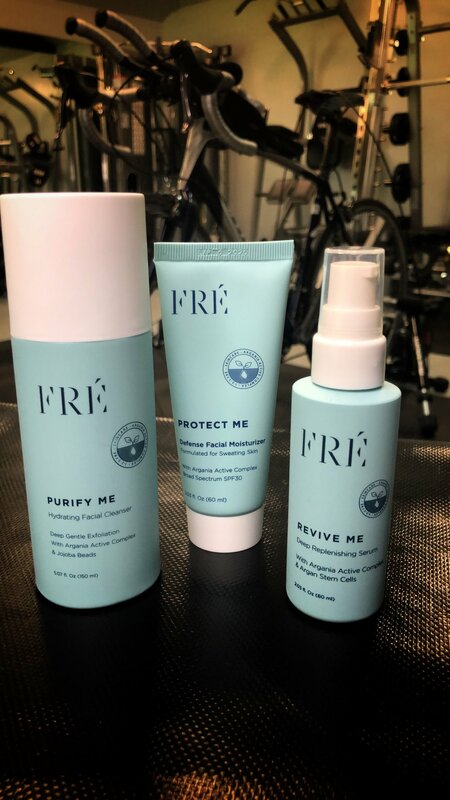 I started using @freskincare and have been loving it! My skin feels more hydrated and smooth and even has a radiant glow! It is made for skin that sweats! The 3-step skincare routine prevents sweat induced skin damage and includes a face wash, deep replenishing serum and moisturizer (with sunscreen!). It smells so good and my skin just soaks it up! *They are made with organic Argan oil, Argan leaf water extract (an Argan tree is planted for every set sold to empower the women who harvest it in Morocco and to fight deforestation) They are also 100% Vegan & Cruelty-Free! You can try it now too for 25% off using my code VALERIEVIL25. My code expires in 48 hours @freskincare - the link to purchase is in my bio above.